Looking deceptively like a domestic cat, the bobcat remains wild at heart as it hunts through the night for prey. 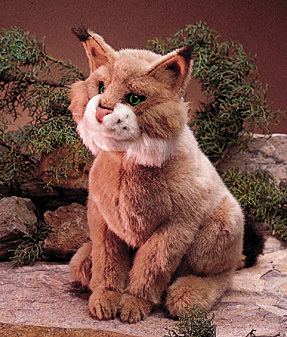 This Bobcat puppet features a movable mouth, dark tufted ears and the dark stumpy tail that gives it its name. Measures 12" long x 8" x 15" tall.